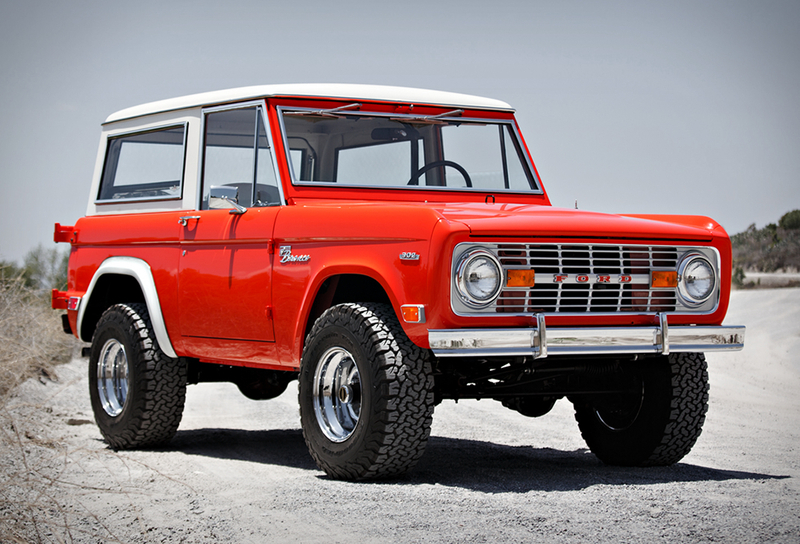 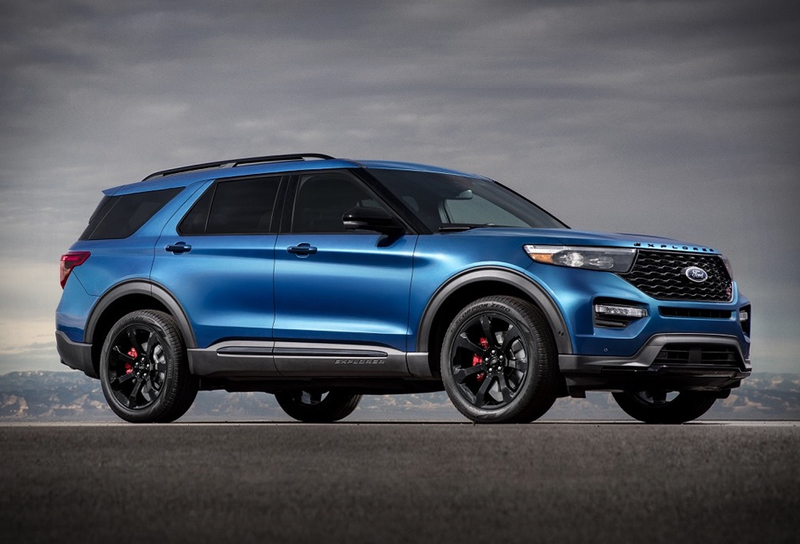 It has been almost 30 years since Ford introduced the Explorer SUV. 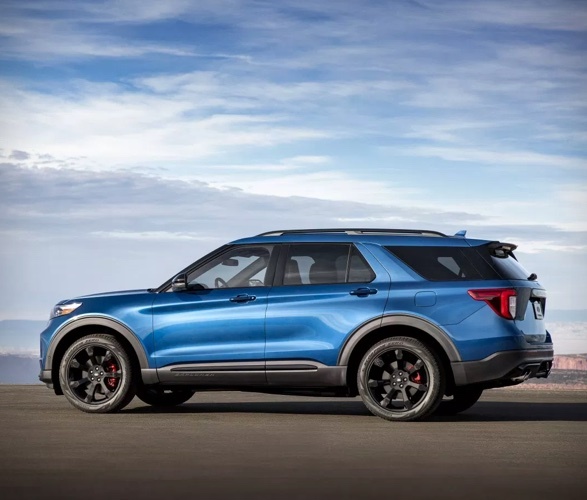 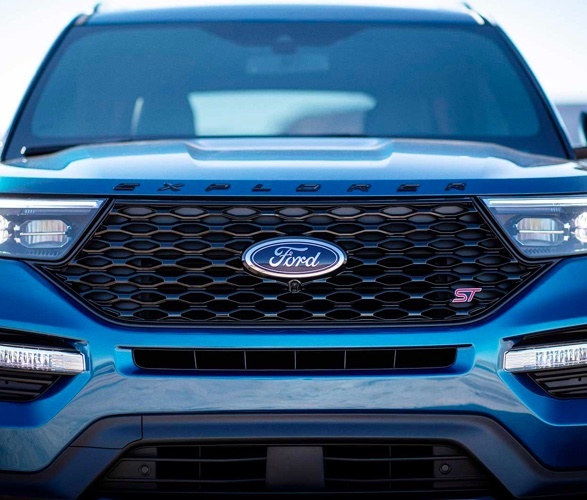 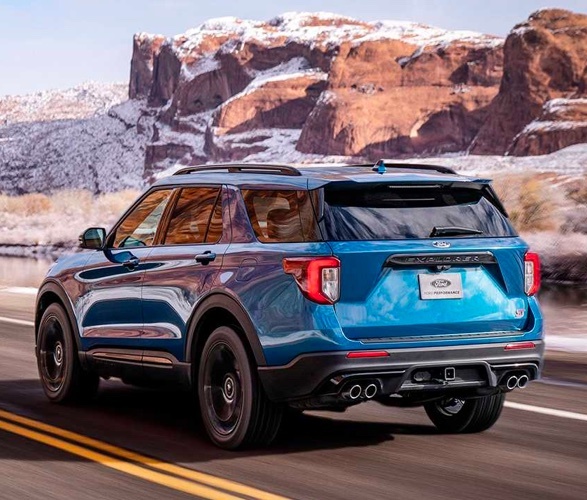 The sixth generation of the 2020 Ford Explorer arrives this summer, with the highlight being a high-performance ST variant. 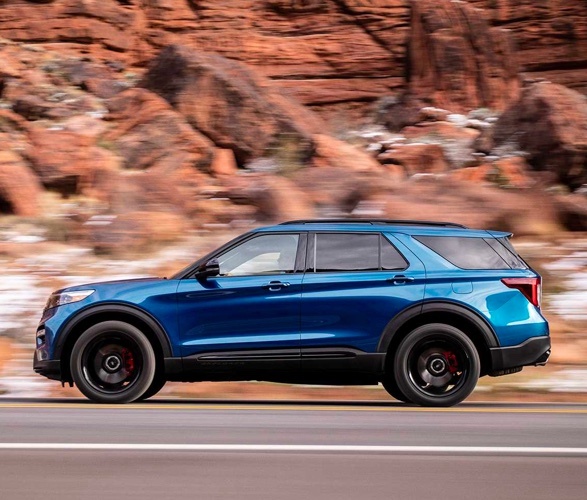 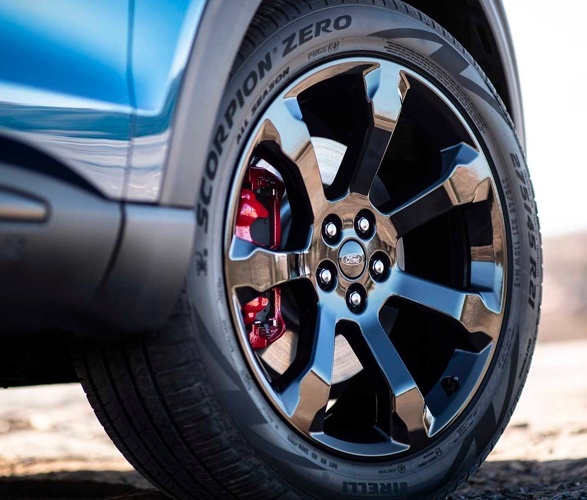 Equipped with a 400-hp twin-turbocharged 3.0-liter V6 engine matted to a 10-speed automatic transmission, the Explorer ST is able to scoot itself to a top speed of 143 mph. 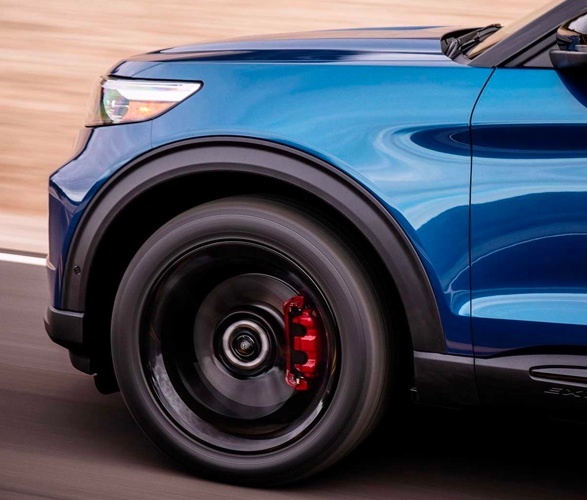 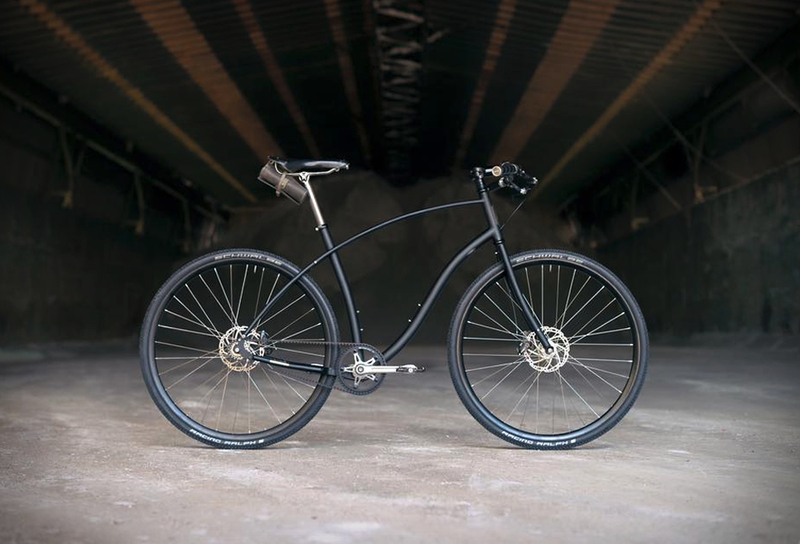 It will be equipped with four-wheel-drive standard with traction control modes, 21-inch aluminum wheels, various performance brake options, red-painted calipers with stainless steel pistons, and larger brake pads. 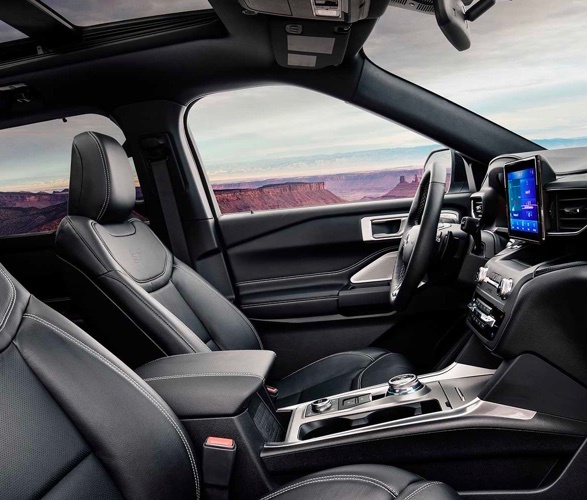 Other features include a standard 12.3-inch digital instrument cluster, flat-bottomed heated steering wheel, micro-perforated leather sport bucket seats, a standard Class III Trailer Tow Package with Cargo Management System, and Active Park Assist 2.0.